Cities I’ve Never Lived In was a story that slowly grew on all of us. Interesting choices in writing style and deep intellectual questions made it a great story for discussion. The story’s layers are emblematic of Hemingway’s iceberg theory, which tickled our resident emingway fan boy, Gerald. Listen as we discuss the effectiveness of essay style and tone, the narrators choices, and how this story about the ethics of poverty-based art affected us. 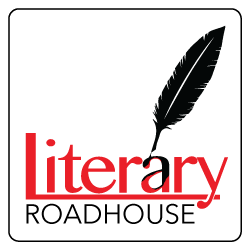 Are you excited for the Literary Roadhouse bookclub? It will be a monthly bookclub and our first novel is… The Heart Goes Last by Margaret Atwood! You can get your copy here. If you want to talk to us about the book as you read, we are using the #LRHBookclub. We also will launch a second new podcast called The Bradbury Challenge. Don’t forget to rate the story! For the history of our goofy system, see Anais’ post “Read Short Stories or Ray Bradbury Cries.” On a scale of 1-6 Bradberries, how do you rate Cites I’ve never lived in? Tell us in the comments below or via voicemail, and we will give the final tally on the next episode.